This weekend the 2017 Dunlop MSA British Touring Car Championship continues with rounds 19 through 21 at Knockhill Circuit. 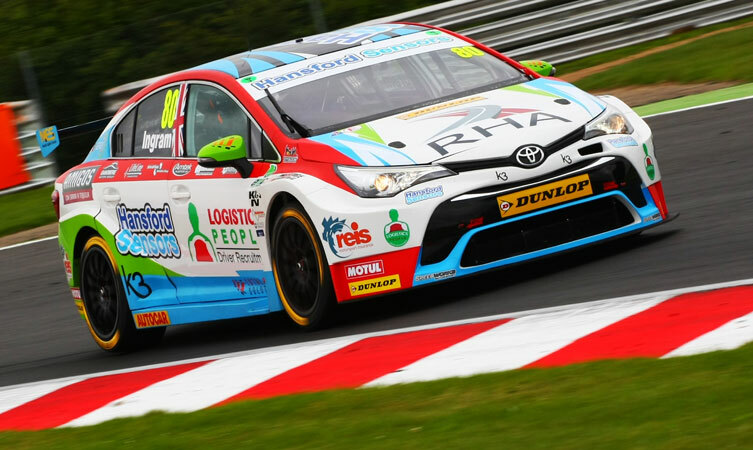 As he goes north of the border, Speedworks Motorsport’s Tom Ingram currently sits in fifth position in the overall standings. A difficult weekend at Snetterton has left the Avensis driver with plenty of motivation to get back on track and chase the leading pack. “Knockhill on paper is exactly the kind of track that shouldn’t suit the Avensis,” said Ingram. “But Snetterton showed that the theory isn’t always borne out and we qualified on the front row in Scotland last year, so we will go there with an open mind and in optimistic mood. Fellow Avensis driver Rob Austin (Handy Motorsport) will also be hoping to fare better in Scotland, after failing to finish twice during a hard-going weekend at Snetterton. He’s in positive mood, however, for the weekend in Fife. “I am looking forward to getting back on track at Knockhill”, said Austin. “I absolutely love the Knockhill circuit and the support from the fans north of the border is always incredible. What else do we know about Knockhill Circuit? Why not scroll down and get up-to-speed in advance of the action with our bluffer’s guide to the Scottish venue. Opened in September 1974, Knockhill is Scotland’s national motorsport centre. Located north of Edinburgh in Fife, the British Touring Car Championship first made its trip to the racetrack in 1992. At just 1.27 miles, Knockhill is one of the shortest tracks on the BTCC calendar, promising frantic action on the narrow and undulating track. High kerbs mean drivers will have their work cut out keeping all four wheels as close to the tarmac as possible – as well as providing photographers with the perfect stage for some epic shots. From the start line (which, unusually, is located at a different point from the finish line) drivers approach the crest that is highest point of the Knockhill circuit, before entering a short braking zone into Duffus Dip – widely regarded as one of the most challenging corners in the UK thanks to its speed and blind apex. The quick left-hander Leslie’s follows, and after that the drivers are straight into a tricky braking zone leading up to the 90-degree right hand bend, Scotsman. A short straight gives the drivers no chance to rest, as the shallow right-hander Butcher’s follows. The track then dips into its lowest point, before a steep climb towards the Arnold Clark Chicane. The second, right-hand part of the corner is completely unsighted, and the presence of those high kerbs can lead to some spectacular two-wheeled chicane-cutting. Following this is Clark’s, a blind uphill right-hander that then leads onto Hislop’s, a high-speed left-hander. The second-longest straight of the circuit, Railway, is the moment to look out for drivers making their moves before they brake furiously for the final corner, Taylor’s. The tightest hairpin corner in the UK, it offers the brave driver a perfect chance to gain position as they move on to the finish line. Fast fact: Knockhill was the setting for the music video of Kaiser Chiefs’ ‘Hole in my Sole’.